The perfect economics Paper 1 Part (A) essay? This photo may seem unrelated to the blogpost, but it was snapped by one of my students’ iPads when I was trying to explain how to write the perfect economics essay for Paper 1, so it inspired me to write this blogpost! So, you have a Paper 1 question made up of Part (a) and Part (b), how do you tackle it? My approach to Paper 1 was inspired by this blogpost from IBMastery.com. For part (a): Do the DEED! 1- Definitions: Make sure you define all key terms that are ‘relevant‘ to the question. Also, writing a vague definition is always better than writing no definition; but writing an accurate and precise definition always beats a vague definition! Remember, not all ‘relevant’ key terms will necessarily be mentioned in the question. 2- Explanation: Make sure you explain all economic concepts/theories that are ‘relevant’ to the question. Explanations need to be accurate and in enough detail to demonstrate sufficient knowledge and understanding. Wishy-washy vague explanations are not very helpful! 3- Example/s: You defined and explained, now you need to APPLY and ANALYZE… how? By providing relevant real-life examples and drawing a diagram/s! Remember, a hypothetical example is always better than no example at all, but a real-life example will always beat a hypothetical example! That’s why it’s important to follow economic news and build a bank of real-life examples that are relevant to your concepts as you’re studying the course! Now the real skill is in how your essay flows and how you link each component of the DEED together, but this basic structure provides a good starting point! 4- Accurate and clearly labeled diagram/s with full explanations! Previous Post TOKing the Econ classroom? 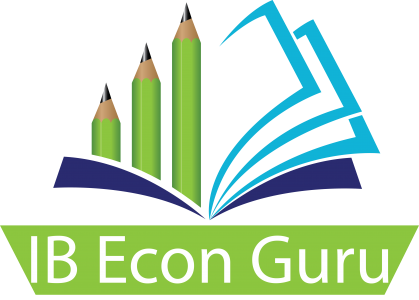 Next Post The perfect economics Paper 1 Part (B) essay?